NEW YORK – New York is different. But starting this weekend it is just a little less so. As of yesterday, residents of the nation’s largest city are allowed to own garbage disposals. 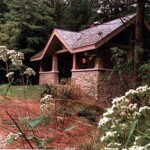 DELAWARE WATER GAP, Pa. – There’s a remarkable new building in a federal park in Pennsylvania: a two-hole outhouse, without running water, that cost the National Park Service at least $333,000. A head-to-head comparison for our readers with nothing to go on. Today’s culture dictates a right now mentality. Customers continually seek customer-service-oriented businesses to fit their needs. The kind of service that was delivered years ago from local mom and pop shops. Continue reading Caught in the Web?